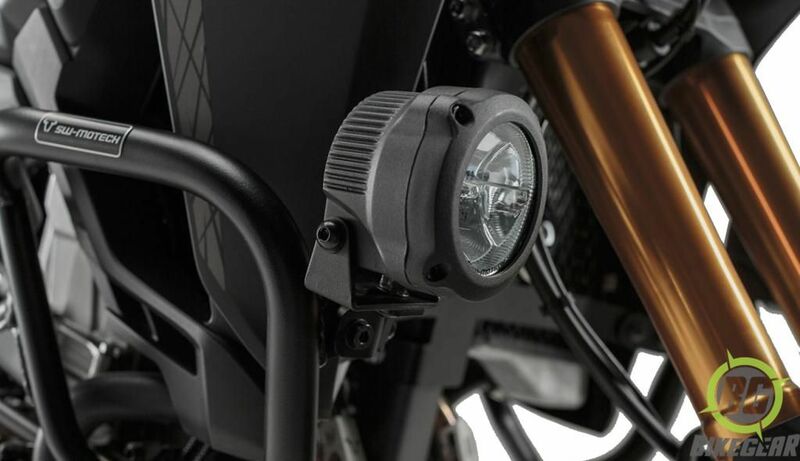 The SW-MOTECH Spot Light Mount for Honda Africa Twin CRF1000L ’16 with crash bars utilizes the built in fixing points on the crash bars to allow mounting of Spot auxiliary lights. 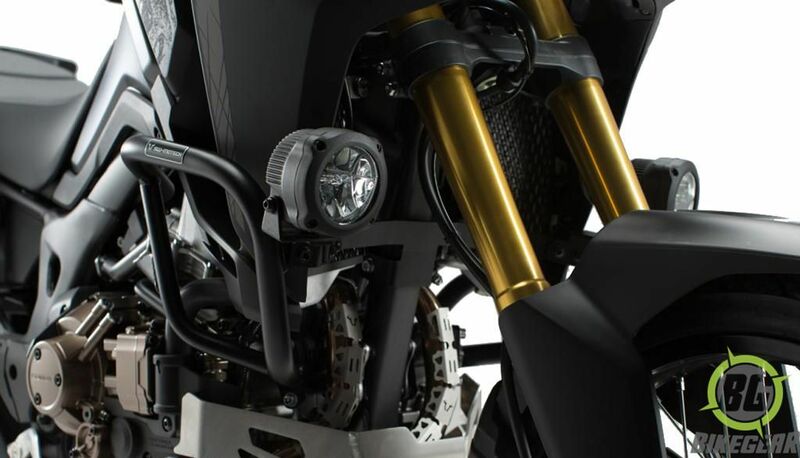 The SW-MOTECH Spot Light Mount for Honda Africa Twin CRF1000L ’16 with crash bars utilizes the built in fixing points on the crash bars to allow mounting of Spot auxiliary lights. Laser cut steel brackets are powder coated for a durable factory appearance that is corrosion resistant and serves as an excellent foundation for enhanced lighting options. 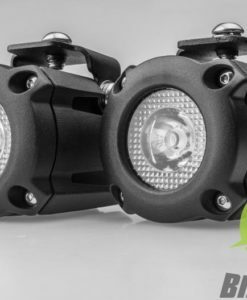 These light mounts are German engineered and designed specially for the SW-MOTECH Hawk series lights. 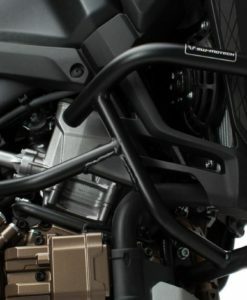 100% bolt-on installation means, no drilling, cutting welding or other modifications necessary. 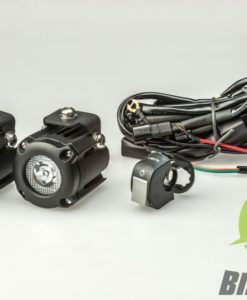 Simply bolt this mount on and add improved lighting, visibility and safety on your bike! Permits installation of Spot auxiliary lights. 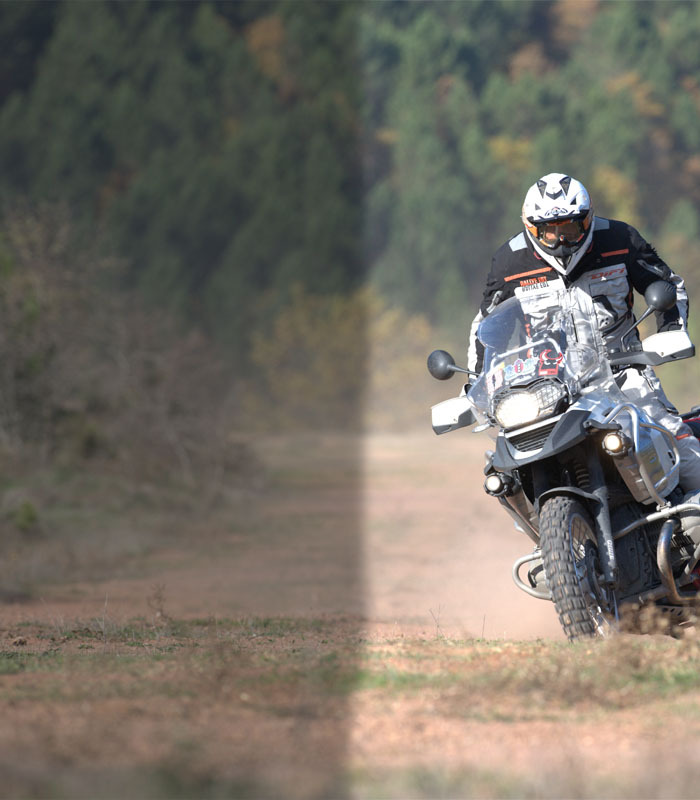 Designed for use with SW-MOTECH crashbar. Robust laser cut steel brackets. Durable powder coated black finish. Simple and easy bolt-on installation. 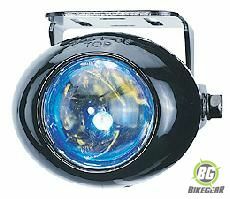 A plug and play halogen bulb kit including handlebar switch, 2x 55W spots and full wiring harness. 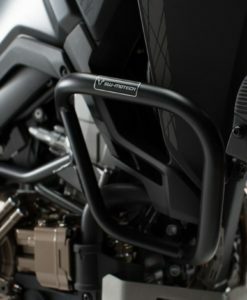 German engineered crash bars protect the vital components of the Honda Africa Twin from damage, in the event of a fall.